I’m getting to the stage when I will need to start painting and ballasting the track on my modules. Looking at the albums I have in my possession, one can see that it’s not a matter of a spray of track colour and a little rust. For example…. 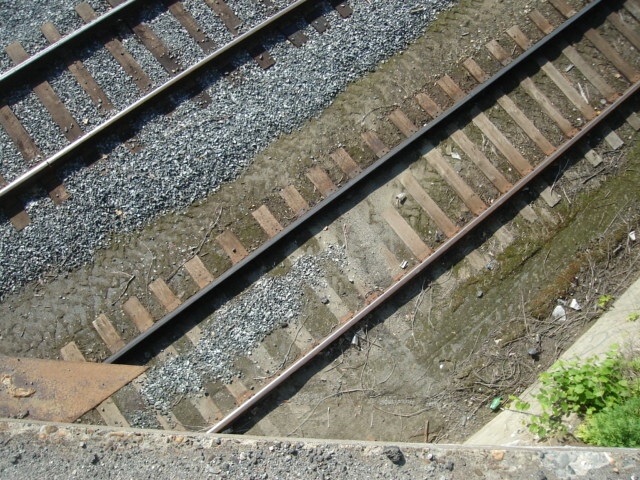 New ballast may be grey, old ballast is dirty brown, but the initial colour may vary depending on the geographical location of the line and hence the source of the gravel – especially in the USA. It’s not like the Southern Railway in the UK, where most of the ballast, I believe, came from Meldon Quarry in the West Country. Sidings, especially little used sidings, may not appear to be ballast, but just have dirt infilled to the top of the sleepers. Rails quickly rust, but it’s a dark brown, not a bright rust colour. Sleepers (ties) on the main line may be ‘wood’ colour. As they age, they fade, and old sleepers on sidings may be closer to grey than brown. A strip of oil between the rails, especially where locos stand for any length of time. Brake dust where fitted trains apply the anchors. Coal around steam locomotive facilities. Sand around any locomotive facilities. Minerals of all sorts of colours in sidings for industries. I stood on Earlswood station this morning looking at the 4 lines through the station. This is a bog standard Southern EMU line, with concrete sleepers, but there were all sorts of bits and pieces lying about, from rail, to cable, not to mention the track cabling and the lilac bushes (that were stained a dark brown) trying to survive between the fast and slow lines. I must take a photo and post it sometime soon. The older track is original in the yard while the freshly ballasted is a new siding recently added as a result of increased traffic. It could equally be a main line and a siding. At RMweb, ‘KH1’s blog has an article on realistic track including this picture of track near Harlech Castle, in Wales. I just love the track work and the details you can spot…. One of my pet hates on layouts is bright orange rails so to anyone who may be responsible I offer these pics of what a realistic colour actually is! The other thing I like is the way that the rust has leached out from the rails onto the ballast. Now this could be exaggerated because of the salt from the coastal location but it is a detail I have rarely seen on a model. For decades the standard advice was paint the rails with Floquil Rail Brown, mix in some Grimy Black around turnouts and other special work like crossing diamonds and, splash a little Mud color around both sides of grade crossings. Job done, move on, what’s next? Not so fast. There’s more to weathering track than three colors. 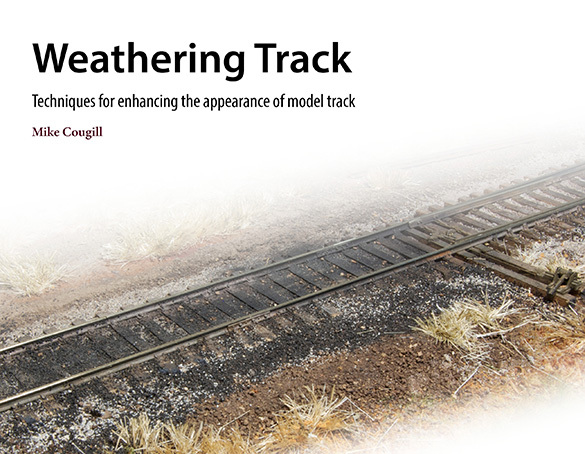 You can download a free PDF guide on ‘Weathering Track’ here. Well worth a read, as indeed are the other two free guides he has available. All are aimed at getting more realism and more fun from a small railroad. This entry was posted in Hints and tips, Inspiration, Jon's layout ramblings, Layout design and tagged hints and tips, layout design, model railway. Bookmark the permalink.